2019-20 Re-Enrollment is now Open! Re-enrollment for the 2019-20 school year is opening on Thursday, January 10, 2019! Beginning January 10, re-enroll online by logging in to your parent profile and completing the pending form(s) on your profile. Log in with your current parent username and password. For problems logging in, please use the “Forgot login or First time logging in?” link. 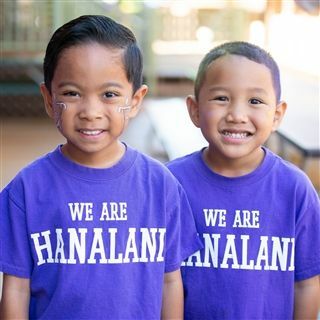 If you have more than one child attending Hanalani, you will need to re-enroll each child separately. Your non-refundable deposit of $400 per child will be due at the time of contract submission (via credit card). This year, your child's re-enrollment contract will be a continuous enrollment contract, which means that your child will be automatically re-enrolled next school year and every year thereafter until graduation or withdrawal. To learn more about the continuous enrollment system, please refer to the FAQ section below! 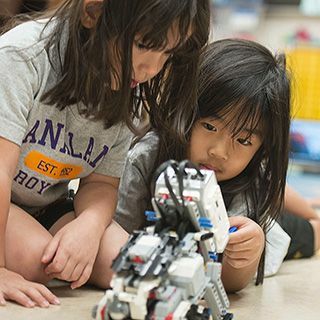 Priority re-enrollment for current Hanalani families extends through Thursday, February 28, 2019. Re-enrollment will continue after that date, but current families will no longer be prioritized over new applicants for either enrollment or optional programs/services registration. To register for optional programs (private lessons, ASC classes, etc. ), please register online. The link will be available on your re-enrollment confirmation email. You may also download and print the Services Additional & Removal Form (ENR-13), make your selections, and submit to the respective divisional office. Registration will be processed on a first-come, first-served basis. To secure bus/van transportation (available for grades K5–12; grades K3 & K4 with stipulation), download the Transportation Selection Form (ENR-14) from the school website and submit to the Upper School Office. Registration priority will be given to students currently enrolled in transportation until Thursday, February 28. Any student re-enrolling at Hanalani Schools may apply for TAP. 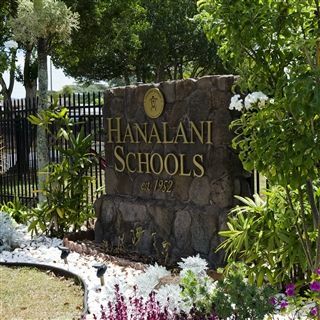 See Hanalani Schools Payment Plans & Financial Assistance Information for complete details. If you need to change your payment plan or billing information, please dowload, complete, and submit a new SMART Tuition form to the Business Office. Q: What is continuous enrollment? Continuous enrollment is a system by which students are automatically re-enrolled into the next school year until graduation or withdrawal. Q: What are the key features of continuous enrollment? 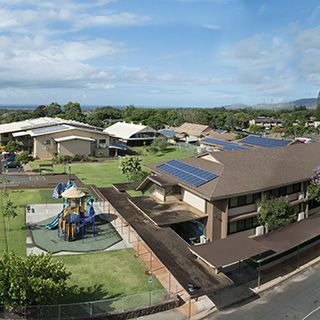 One-time contract: Families sign one contract upon the time of re-enrollment (for 2019-20 only) or new enrollment, and it will carry them through the duration of the student's attendance at Hanalani. 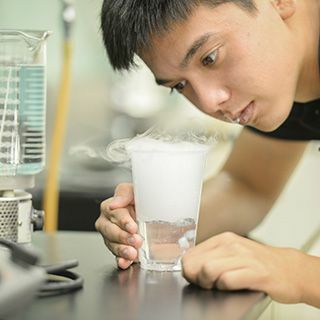 Automatic process initiation: Following the submission of the continuous enrollment contract, Hanalani will automatically re-enroll students into the upcoming school year unless the student is withdrawn. Upon withdrawal initiated by March 1 (prior to the upcoming school year). Penalty-free withdrawal period: The penalty-free withdrawal period ends on March 1 of each year. If withdrawal is initiated from the upcoming school year before then, the $400 deposit will be returned. If withdrawal is initiated after this date, the deposit is non-refundable. Q: What happens with my child's $400 deposit (per student)? The deposit is non-refundable (and non-transferrable to other students, i.e. siblings) after March 1. Q: How are we moving from the current re-enrollment system to the new continuous enrollment system? It's simple! To transition our current families, we are having one last re-enrollment season during the spring of 2019 that will look identical in process to our previous re-enrollment seasons. Once you sign your new continuous enrollment contract and place your deposit for the last time, you'll be good to go for the rest of your time at Hanalani until graduation or withdrawal! Q: How will I register for optional programs and services for the upcoming school year? Is that part of the continuous process? To register for optional programs and services after you have re-enrolled, you will fill out the online Optional Programs & Services Selection form (ENR-12) for the 2019-20 school year. This form will be sent to parents every January to provide them with the opportunity to register for the upcoming school year on an annual basis. Q: What does the plan cover for withdrawal or absences due to medical reasons? The Plan will pay 100% of the unused yearly insured fees, provided the student’s injury or sickness forces the student to withdraw from school or medical absence lasts for 31 or more consecutive days. Benefits are paid retroactive to the first day of medical absence. The Plan will pay 60% of the unused yearly insured fees, provided the student’s mental health condition, as referenced in DSM V, forces the student to withdraw from school or medical absence lasts for 31 or more consecutive days. Q: What does the plan cover for withdrawal or absences due to reasons other then medical? The Plan will pay 60% of the unused yearly insured fees provided the student has withdrawn from school after attending more than fourteen consecutive calendar days beginning with the student’s first class day of attendance in the academic year. Q: What does the plan cover for a dismissal from school? The Plan will pay 75% of the unused yearly insured fees provided the student is dismissed from the school after attending more than fourteen consecutive calendar days beginning with the student’s first class day of attendance in the academic year. Q: What does the plan cover for Tuition Continuation Benefit? The Plan will pay 100% of the unused yearly insured fees, whether or not the student continues in school, upon the death of the student’s parent or legal guardian during the academic year.